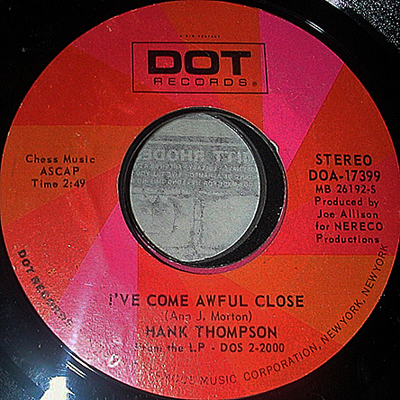 “I’ve Come Awful Close” is a 45-only track that would be included on Hank’s 1971 2-LP retrospective 25th Anniversary Album, as well as following year’s Greatest Hits Vol. 1. Written by Ann J. Morton, the song would chart as high as #11 in the US (#19 in Canada) and spend a total of 14 weeks on the charts..